Ranveer Singh is known for his crazy and charming personality. He is one of the most loved Bollywood celebrities. Ranveer Singh yesterday shared his childhood picture on Instagram captioned “Avant-Garde Since 1985”. This post has become viral and spread all over the internet like wildfire. You will also not stop laughing after seeing his childhood look. In the picture, Ranveer had a Mohawk style haircut which is quite a fun. We all know about his relationship with Deepika Padukone. They are one of the cutest Bollywood couples and always stay in the headline for some reasons. They both recently did a film ‘Padmavat’ together which was a blockbuster. You must be wondering that how Deepika Padukone had reacted on this photo. We all were waiting for her comment on this photo and here is what she commented. She commented, “noooooooooooooooooo!! !” along with three eyes closed monkey emojis. We can understand the meaning of her comment sincerely. Not only Deepika Padukone commented on this pic, but other Bollywood stars also said on this pic. 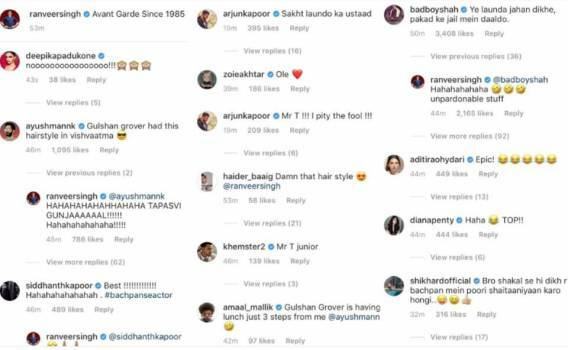 Here are some comments of Bollywood celebrities on Ranveer Singh’s Instagram post. There is also a rumor going on about Deepika and Ranveer’s relation that they are going to married soon and their families are planning for the venue and marriage dates. This news is not yet confirmed but according to the reports that Deepika Padukone’s family have also booked a wedding planner. 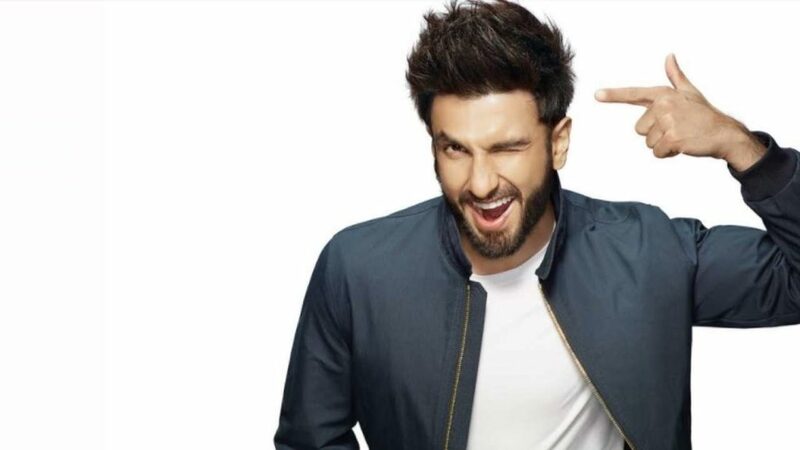 Ranveer is also working on two projects simultaneously Simba and Gully Boy. Gully Boy is set to release in 2019 which is directed by Zoya Akhtar.